We’re starting our Women in Horror Month off with a strange paring, considering one of the films isn’t horror at all. 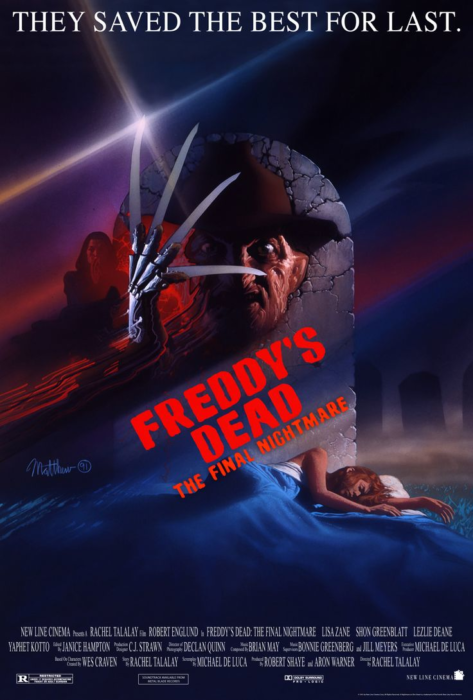 We’re looking at two films in major franchises helmed by women with Rachel Talalay’s Freddy’s Dead: The Final Nightmare versus Patty Jenkins’s Wonder Woman. We discuss Wonder Woman‘s obvious and necessary impact, while looking at the first film in a major franchise to be directed by a woman – for her directorial debut, no less! Rachel Talalay made history. Patty Jenkins carried that torch into what is hopefully a time of real change and growth. During the month, be sure to take a look at Ariel’s Letterboxd list of female-directed horror films. It’s at 134 at the start of the month – let’s make those numbers climb! Send us a message or email with any suggestions not already on the list! Subscribe on iTunes, where you can rate and review the show. You can also find us on SoundCloud, Google Play, Stitcher, or the Pocket Casts app.